In the past several years the popularity of the International 420 in the United States has grown. The I-420 is sailed around the world and is a popular dinghy sailed at school, club, open, national, and international levels. International champions including Spithill, Outerridge, and Burling have used the I-420 as a developmental boat to refine their boat handling and boat tuning skills. The US Sailing Olympic Sailing Committee endorses the I-420 as one of the six Olympic Development Classes for athletes identified as future Olympic prospects. This fast, exciting, and technical class is growing, and the United States is getting ready to host the 2018 World Championships at Sail Newport this summer. The I-420 was first designed back in the 1960’s by Christian Maury in France. 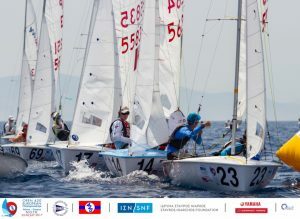 The class developed rapidly in France and was adopted nationally as the youth trainer for the larger Olympic class International 470. In 1976 the International 470 was chosen as the Olympic double-handed boat, after that the International 420 increased popularity worldwide as it became a stepping stone into the 470, and a pathway to the Olympics. 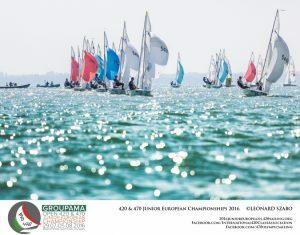 The International 420 is the youth development boat in 43 countries around the world, including the United States. 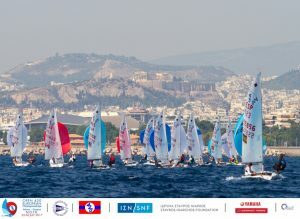 Top international sailing champions have used this boat to build skills and move successfully on to bigger high-performance classes. The International 420 is a two-person trapeze and spinnaker racing dinghy. The monohull planing boat comes with a main, jib, and spinnaker. The boat is designed with a tapered and tunable Bermuda rig. The overall length of the boat is exactly 4.2 meters long. The optimal crew weight is between 242-319 pounds. This double-handed boat requires sailors to tune the rig correctly to enhance speed, height, and acceleration.